Early 20th century Americans (and Canadians) had a taste for the “exotic”, and so bellydancing was a popular act of the Vaudeville stage. While some performers were true bellydancers, hailing from the middle East and other foreign regions, many were simply flappers who realized the audience’s interest in revealing costumes and (at the time) scandalous dance moves. One of the most famous of the era was Margaretha Zelle, better known by her stage name, Mata Hari; she’s one to look up if you like scandal, mystery and intrigue. As for our Vaudeville Revue, we are lucky to have the very talented, Anuka. Anuka is a Toronto-based bellydancer. She performs as a soloist and is also the choreographer for her troupe Mirage, creating original dances every year for a variety of shows which have included the International Bellydance Conference of Canada, Ad Astra, Fan Expo, Steam on Queen, and her own productions (Moonlight Mirage in 2014, Twilight Mirage in 2011, Midnight Mirage in 2010 , and Winter Mirage in 2009). Tonight Anuka will perform Vintage Oriental Style bellydance. North America developed a unique style of bellydance which mixed influences from many different Middle Eastern countries and the dancers’ own creativity. This style, known as Vintage Oriental Stye or American Cabaret, includes movements drawn from variety of regional dances. The music was mix of popular and traditional melodies from different cultures, including Middle Eastern, Persian, Turkish, and Armenian songs. Some distinctive elements of a Vintage Oriental show are veil dances, floorwork, sword dances, and finger cymbals. Want to see Anuka onstage? Get your tickets to Vaudeville Revue today. Chances are, if you’re not a vintage theatre lover like we are, you don’t know too much about Vaudeville. 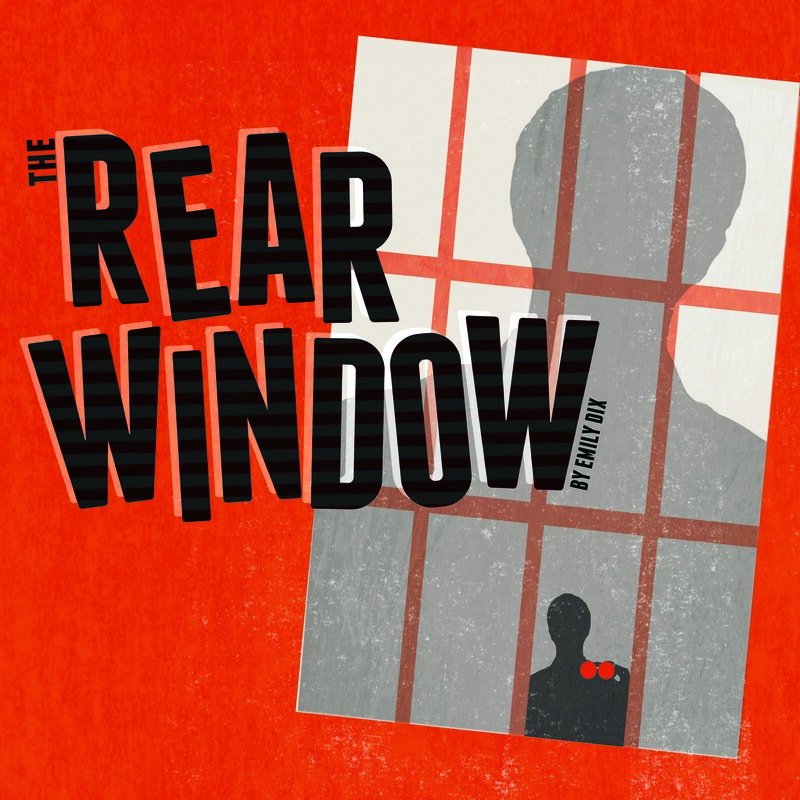 You’ve likely heard the term thrown around and maybe have a vague image of some old-timey song and dance, cheesy jokes and bad acts being pulled offstage with a hook. 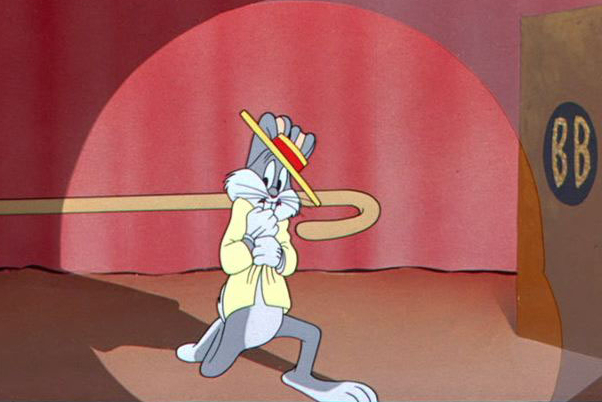 You likely know more about Vaudeville from Looney Toons than from the real thing. While Vaudeville may be (sadly) dead, its influence is still alive and well with thanks to the many theatre slang terms the style coined. How many of them do you recognize? Unsophisticated, simple, sentimental, cheesy; all of these describe what many people thought of the humour that came from the small-town country performers in the circuit. Originally the phrase was “stuck in the corn” but as with most slang, it was shortened, becoming the “corny” phrase we know today. 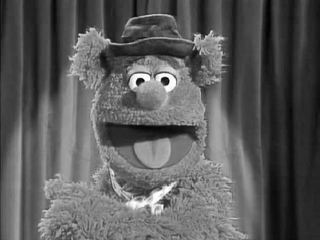 Fozzie Bear’s pun-riddled comedy is the epitome of “corny”. You want the number before you to warm the audience up, but if they get too hot, chances are you’ll get the cold shoulder. Waiting in the wings would’ve been nerve-wracking for any performer, and if you see a great act just before yours, you know you’ll have a tough time getting the applause you crave. A little gruesome, sure, but hey kid, that’s showbiz. The theatre world is full of hyperbole which is likely why performers talk about “blowing audiences away” or “knocking them dead” with their stupendous performances. While the exact reasoning behind these rather violent terms isn’t clear, it’s likely due to the fact that in a high-stakes world like theatre, you need an extreme reaction to guarantee you live to play another day. A number that has them laughing so hard they fall into the aisles, or one that gives them a near spiritual experience, knocking them flat, is exactly what any performer would dream of. Hoofer is the term for a professional dancer, often a tap dancer, whose dance style is close to the floor, emphasizing foot movement over arm or upper body. The term originates from the Vaudeville performers who would pound their feet on the ground prior to coming onstage in order to give the band the proper tempo. This sound, much like a horse pounding it’s hoof, gave rise to the term “hoofers”. 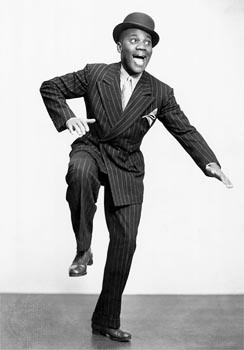 Bill “Bojangles” Robinson was one of the greatest hoofers of his time. Hence the term, blue comedy. I found this one hard to believe. Despite having grown up very familiar with the hook trope, the concept of someone actually using a crook to pull a person offstage seems far-fetched. However, there is some evidence to suggest that the phrase and its tradition originates from 1903, at Harry Miner’s Bowery Theatre. Check out some people arguing over the origins here. I know everyone and their mother has a theory about where the origins of this line really come from, but the one I tend to go with is one of the simplest, and I think that generally means it’s most likely closest to the truth. Theatre managers would book more acts than they could fit into a show, since audience response would dictate whether or not a bit got to run to completion (we all remember the old Loonie Toons where someone gets pulled off stage with a hook). There was no pay for those who were overbooked and waiting in the wings; you crossed your fingers, hoped the number before you would bomb and that you would break a leg, ie. go past the “legs” (part of the curtains) and get to perform onstage, thereby getting paid. In a business where everyone just wants their shot in the limelights and to make a buck, I’ve gotta believe that’s the right origin. This one has a few different origin stories, ranging from Agamemnon walking on a carpet fit for the God’s, to the 20th Century Limited train company rolling it out for its distinguished passengers. But I’ve found a couple sources that link it to Vaudeville, so we’re going to include it in this list. Apparently, headliners and bigger acts often had expensive costumes, and working 8+ shows a week meant they were difficult to keep clean, so a red carpet would be laid down backstage along the path the stars would walk; it was easy to spot if this was clean or not, and so they knew that their costumes were being protected. A little far-fetched? Maybe. A term for a gymnastics routine, often one that involves launching performers into the air. Many of these circus acts were by European performers, and it is likely that the phrase came from the French word “allez” meaning everybody and a vocalization like “hup” to cue when to jump. 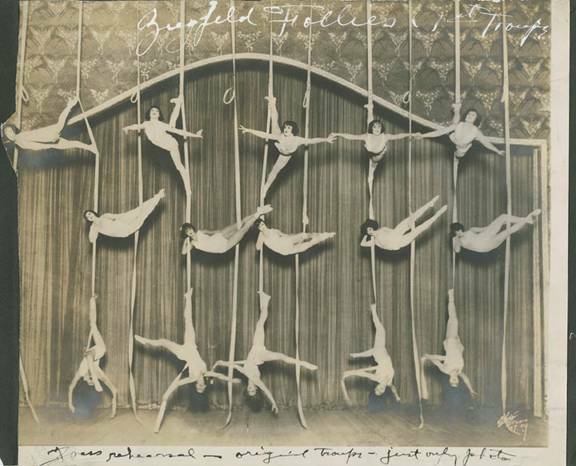 The Ziegfeld Follies show off a spectacular acrobatic routine. While the phrase today simply means “the centre of attention” this phrase has a very simple origin. A Limelight is better known as a Drummond or Calcium Light and was a popular stage light in the days of Vaudeville. A cylinder of quicklime is heated by an oxyhydrogen flame, creating an intense illumination. Electric lights have long since replaced these, but the term lingers on. Think we’ve missed any? Tweet them to us at @BygoneTheatre #Vaudeville, and keep posted for more information on Bygone Theatre’s Vaudeville Revue, coming June 2016!